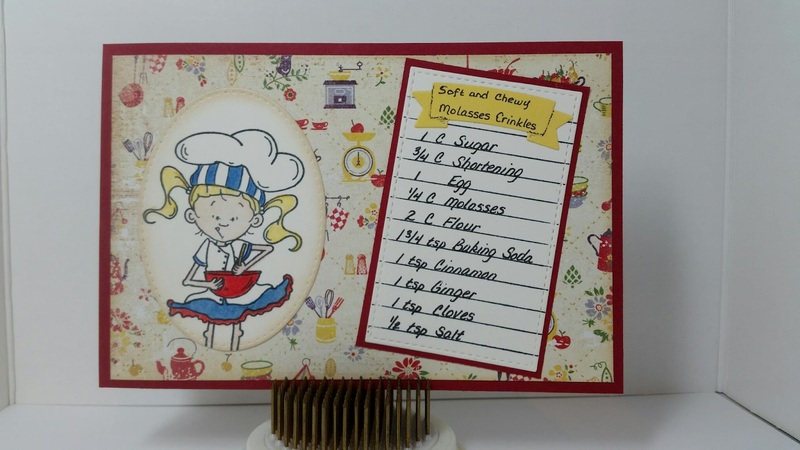 Decided to make a recipe card for the Anything but a Card challenge at Kraftin' Kimmie Stamps. I started with the 4x6 size added patterned paper from the Farmhouse Paper Company and an image of Lulu mixing up some goodies. The list of ingredients are on the front and the directions are on the reverse side.